Fenugreek tea is the perfect herbal tea for your herbal medicine cabinet. It’s hard to believe that an infusion that tastes so much like maple syrup would be the perfect answer for your blood sugar problems. But it’s true. Come and find out how this is the tea for you. This plant provides the perfect defense against many ailments and it is also a great way to provide nutrition when you most need it. New Moms! How can this herb help you feed your baby? Fenugreek is a name that comes from the Latin trigonella foenum-graecum, which means “Greek Hay” as this herb was long used mainly as animal fodder. However, you are likely to have come across it already under its many other names: Fenigreek, Bird’s Foot, Goat’s Horn, Greek Hayseed or Trigonella. This interesting herb is native to the Mediterranean region, North Africa and India, having afterwards spread to the rest of the world. Still, India remains the largest producer of this herb today. This plant reaches a height of 60cm (2ft approx. ), it has long stems and its leaves are bright green. In the summer white to light yellow flowers bloom and from them come small pods with many seeds. Both seeds and leaves have been used throughout history either as a cooking spice or as an herbal medicine. The tiny seeds are brown to yellow and can be found in either whole dried form or powdered, with a spicy, pungent smell that should remind you of curry. Back in the days of ancient Rome, Greece and Egypt, fenugreek was already a highly appreciated herb. It was used to cook and spice many dishes, but also as a medicinal treatment for stomach problems among other health issues. Going eastwards, we reach India, where this herb has also been used as an ingredient in curry powder and so used to spice many dishes. In the Indian medicinal tradition of Ayurveda, this was a herb of rejuvenation, an aphrodisiac and an overall cure. Heading further east, we reach China and here fenugreek has been traditionally used for a number of diseases such as kidney or liver ailments, and male and female hormonal imbalances. Today, around the world, fenugreek still retains its culinary reputation. From seeds in salads to powder in stews, soups and many other dishes, this is an herb much enjoyed for its flavor. It is even used as a maple-like flavoring for sweets. And as for its medicinal reputation, well, come along and learn what many benefits you can enjoy when drinking fenugreek tea. 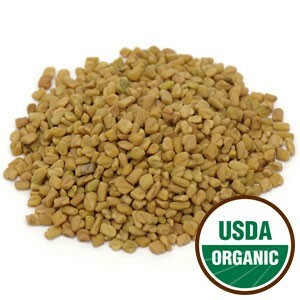 Fenugreek seeds are a great source or protein, ascorbic acid, niacin and volatile oils. If you drink this tea, you will be ingesting vitamins A, B-complex, C and D, and other components such as calcium, iron, lysine, magnesium, phosphorus, potassium, selenium, sodium, zinc, and along with these, it is a tea rich in alkaloids, mucilage, and estrogen-like steroidal saponins. Fenugreek tea provides plenty of benefits, let’s find out which. This is the main benefit of this tea: helping new moms by increasing and easing breastfeeding. Fenugreek seeds seem to stimulate the hormones linked with milk production and because it is rich in minerals and vitamins it is nourishing for mother and child. Unfortunately, the change does not occur at the same rate for everyone. Some may see increase in breast milk as soon as 24-72 hours after taking the herb, for others it may take around 2 weeks. Does this imply breast enlargement? Fenugreek tea has the reputation of resulting in breast enlargement. This may be due to the fact that drinking this herbal tea over time may stimulate estrogen production leading to the growth of breast tissue and water retention, resulting in larger, fuller breasts. This is a great tea to help stabilize the hormonal function, both in men and women, bringing relief to a number of problems that can occur at various stages in your life. For women, fenugreek tea will display estrogen-like properties helping to increase libido; reduce the symptoms of menopause, such as hot flashes and mood fluctuations; and lessen the intensity of the effects common in PMS. This tea can also aid women who have irregular periods. Through uterine stimulation this tea brings on your period, but be careful, this may also mean there is an increase in fertility, improving your chances of getting pregnant. For men, fenugreek tea can also help with libido. It stimulates the reproductive organs, improving your testosterone levels. As a result of drinking this tea, you may find that it improves male potency. Fenugreek tea may the perfect answer if you are trying to reduce your sugar levels. If you suffer from type II diabetes or are at risk of becoming a diabetes patient, then stock up on this herbal tea. It is said to increase your insulin production. This herb reduces the rate at which sugar is absorbed into your body. If less sugar gets in that means it becomes easier to get rid of the sugar your body does absorb. By drinking this tea you will be fighting symptoms such as a frequent need to urinate, excessive thirst, nerve pain and skin infections, which are a clear indication that you have too much sugar in your blood. So if you feel thirsty, have a cup of this tea. If you often suffer from indigestion and/or intestinal problems, then this may be the tea for you. It is comforting and helps you to have a proper digestion, so drinking it on a regular basis may bring relief to such symptoms as ulcers, flatulence and many others. Fenugreek offers you both protection and relief by coating the lining of your stomach and intestines. This will mean that it will soothe and prevent inflammation and peptic ulcers. Feeling constipated or having diarrhea is enough to ruin your whole day or days depending on how bad the damage is. The great thing about this herbal tea is that it deals with both symptoms so there is less danger of going from one extreme to the other. For constipation, fenugreek tea acts as a laxative, whereas for diarrhea it clears away the toxins that are causing the disorder. So you are looking at a tea that can regulate your bowel movements. And here comes the really good news: a healthy digestion means better absorption of nutrients and vitamins, and a quicker disposal of fatty and unhealthy wastes. This naturally makes fenugreek a weight loss tea, but it does still count on you to choose healthier items for your daily diet. Let’s face it, who isn’t stressed these days? It’s your job, your family, your whole daily routine that can quickly catch up to you and put a lot of strain on your heart. So how can fenugreek tea on a regular basis help you? The main benefit of fenugreek tea in this instance is reducing your levels of bad cholesterol. This alone is a great step to prevent problems from irregular palpitations to the more serious heart attacks and even strokes. Feeling weak and anemic? This tea is for you; it is rich in iron and strengthens your heart, helping with conditions like anemia and aiding you when recovering from diseases that have left you with a low level of energy. Fenugreek tea also cleanses your liver, a vital organ to purify your blood and provide you with hormonal balance. This is how it helps to reduce and prevent high blood pressure. The nasty thing about colds is how they can totally knock you out as cold symptoms take over your respiratory system. This is when a good hot herbal infusion made with fenugreek seeds can be the very thing you need. First, fenugreek tea acts as an expectorant, which means it helps to expel nasty phlegm and soothes coughs, treating a sore throat. Then it will make you sweat and in doing so helps to reduce your fever. Drink it with honey and lemon to help you along. Along with helping to treat bronchitis, pneumonia and coughs, this tea can aid you during allergy season to tackle the symptoms of hay fever and other sinus conditions. Did you know that fenugreek tea is highly rich in antioxidants? These antioxidants are key in preventing cell damage and helping improve body tissue health. This means healthier and stronger bones and muscles that are toned and tougher. Fenugreek tea is highly nutritious and it is these nutrients that provide the building blocks for your body and improve your immune system so that you can fight inflammation, pain and fatigue much better. Externally, this tea can be quite cleansing, too. Applied topically, it aids with abscesses and boils, burns and eczema, by acting on the pain and inflammation, reducing swelling, healing ulcers and wounds. Applied on your skin, fenugreek tea is like a conditioner, bring back life to your skin, healing acne and aiding with cellulite, but also helping with arthritis and painful rheumatism. Remember that drinking this tea reduces your sugar levels, which is another path to a healthier skin. Drinking this tea for digestion problems can also improve your oral health. Bad breath is a lot of times a symptom that there is an infection or inflammation. So drink a cup of tea whenever you feel a nasty after taste in your mouth. This is a cleansing tea that helps to clear the lymphatic system and detoxifies the body, removing wastes and providing nutritional help where it is most needed. This is particularly good if you suffer from a wasting disease. Take a sip of this tea now! Although fenugreek tea has such a variety of health benefits, you should be aware that there are unfortunately some side effects when drinking this tea. If you take too much, this may cause nausea, sweating, dizziness and hypoglycemia by lowering sugar levels beyond what is recommended. Too much, may also cause an upset stomach, diarrhea and boating sensations. And you may begin to feel like your sweat and urine smell of maple syrup. ...you are pregnant. The same action that makes this the perfect tea to bring on delayed menstruation, causes your uterus to contract and may endanger your pregnancy. ...you are allergic to peanuts. Fenugreek belongs to the peanut and chickpea family, so you may suffer a similar allergic reaction. ...if you are already taking medicine to lower your sugar level or cholesterol. Fenugreek tea may enhance the effects of your medication and cause unwanted side effects. It also interacts with medicine for blood clotting, causing possible excessive bleeding. With a few precautions and the okay of your doctor, there is no reason not to drink this tea. Get your fenugreek seeds ready because you are about to learn how to make fenugreek tea. While you wait, place one teaspoon of seeds per cup inside your teapot, that’s one teaspoon per 250ml (8oz) of water. Pour the boiling water over the seeds and let it rest for 5 to 15 minutes. Strain and drink, preferably before meals, 2 to 3 times a day. You can either drink this tea cold or hot. 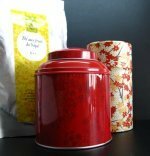 This tea has a deep nutty flavor, but can have a bitter, maple-like taste, so mix with other herbs, like fennel, which add a sweet flavor to your herb blend. Add honey to sweeten your tea and a squish of lemon juice as well. This is a great way to fight cold symptoms. To use this tea externally, make a poultice or a plaster mix 50g of fenugreek powder with 1 quart of hot or boiled water. Let it rest so that it may thicken and you are able to apply it on the skin with a piece of clean cloth. Buy your Fenugreek Tea Today! Click on the image or on the links below to purchase from Starwest Botanicals your Organic Fenugreek Seeds. These seeds are great to make a cup of tea when you most need it. Fennel tea – this is a great herb for a tea blend to deal with a difficult digestion. It may just be the right tea for you.